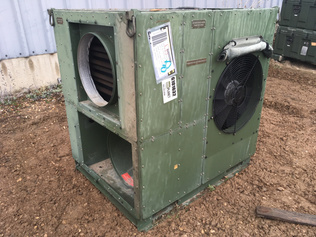 Buy and sell used Heating & Cooling Equipment from any and all manufacturers, including DHS Systems, HDT, K-Flex, Nordic Air and more. From Air Conditioner and Dehumidifier to Ground Heater and Misc. Heating & Cooling Equipment, you can be sure to find exactly what you need. If you are looking for a used Heating & Cooling Equipment, be sure to check out our upcoming equipment auctions.